Tonight was my first time substituting ground turkey for ground beef. Of course I only did it for my portion though, don’t want to rob my husband of his red meat! Boy, was I pleasantly surprised! After eating half my pepper I tried a bite of my husband’s ground beef, and guess what, I preferred my turkey version! The amount of salt called for ground beef seemed a little on the salty side for the ground turkey so for the recipe I noted half the amount for turkey. Enjoy! 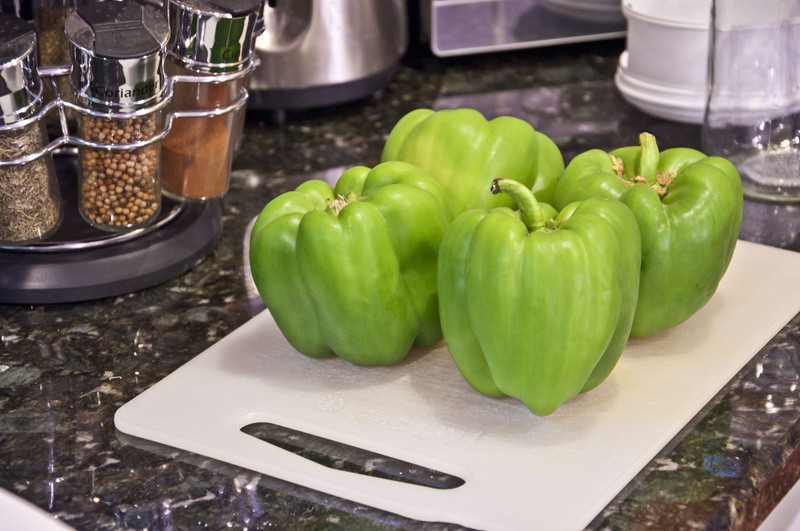 Directions: Cut tops off peppers and discard; remove seeds. 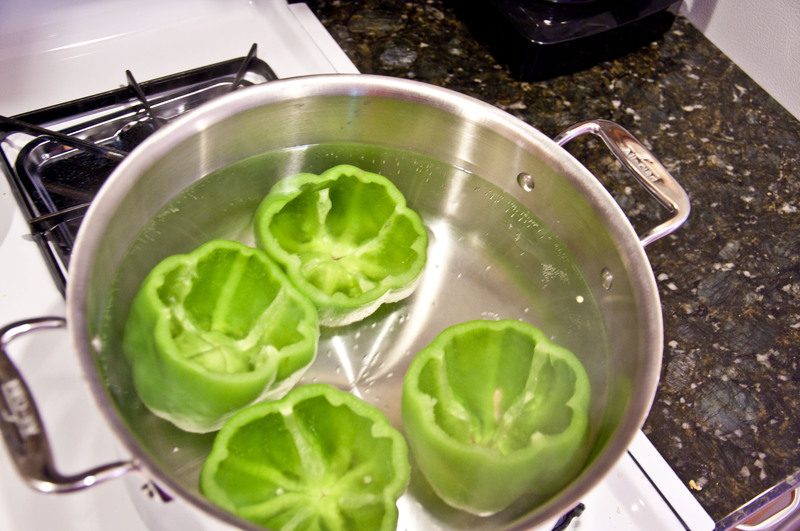 Blanch peppers in boiling water for 5 minutes. Drain and rinse in cold water; set aside. In a bowl, combine beef (or turkey), 1/3 cup of diced tomatoes, rice, 2 tablespoons of cheese, onion, Worcestershire sauce, salt, pepper and egg; mix well. Stuff the peppers; place in an ungreased 1-1/2-qt. baking dish. Pour the remaining tomato sauce over peppers. 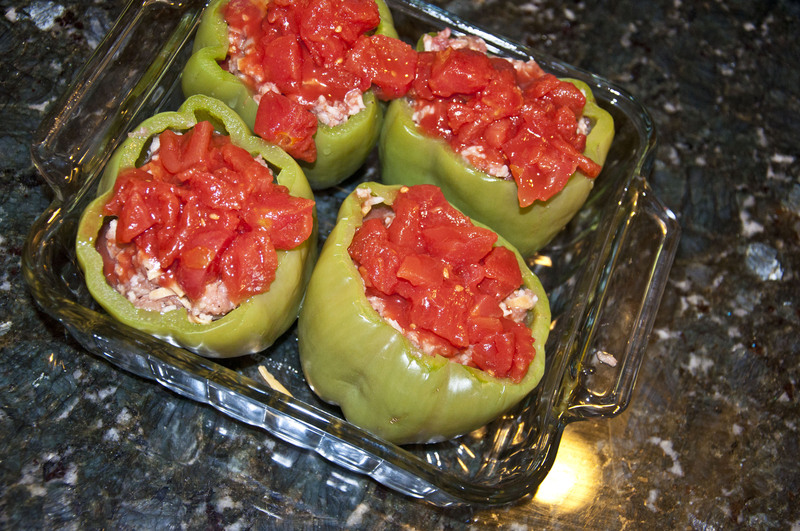 Cover and bake at 350° for 45-60 minutes or until meat is no longer pink and peppers are tender. 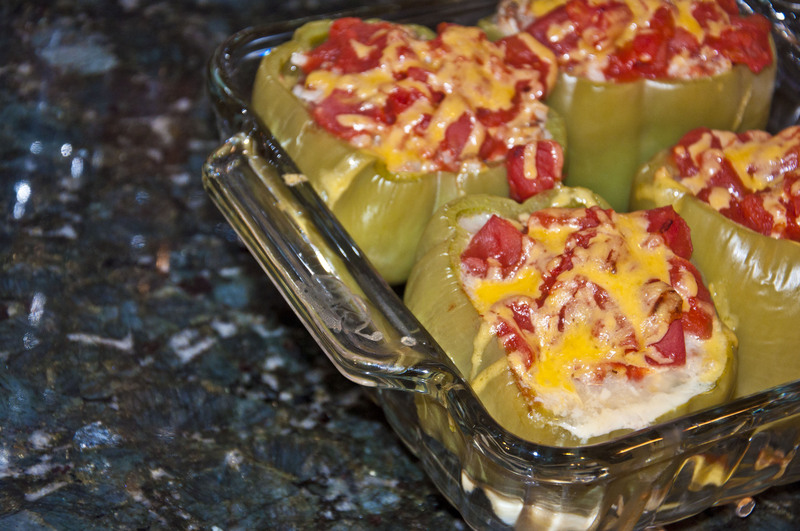 Sprinkle with remaining cheese; return to the oven for 5 minutes or until cheese is melted. Yield: 2 servings.